Past, present and future go hand in hand on board this two-master. 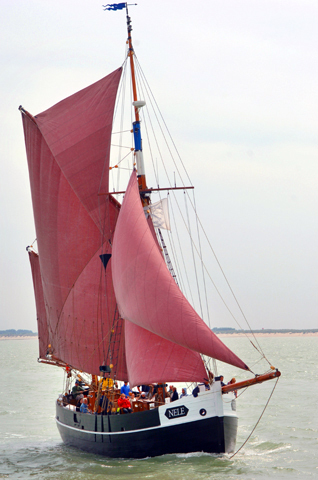 The 'Nele' was built after the design of the historical Oostende two-mast smack and in accordance with the best sailing traditions. However, the ship is brand-new! It boasts exceptional classic lines and seaworthiness. In short, nostalgia and craftsmanship going hand in hand. The 'Nele' was specially designed to the needs you have as a modern user. It was built in the traditional manner, with some concessions regarding safety standards and passenger comfort. For keen sailors, quiet enthusiasts and business relations with whom you want to build a future. For colleagues with whom you have worked for years, friends with whom you have written history within your association or the one family member that deserves to be put in the limelight. Or just for a day off. In short, teambuilding, presentations, meetings, receptions, dinners and parties... the 'Nele' is specially built for all these purposes. 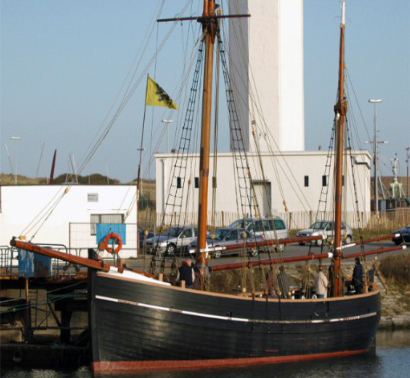 The 'Nele' was launched on 7 May 2005 and made its maiden sailing trip soon after. A classic ship for a new millennium no less than 20 by 5.60 metres large! Over 200 square metres of modern luxury under 185 sq ms of sails. The best ingredients for a perfect day off on the water.